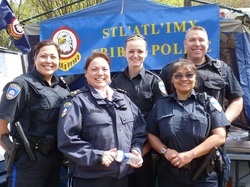 We provide policing services to First Nations communities in the St’at’imc Nation, in the southern interior of beautiful British Columbia. We have offices in Mount Currie and Lillooet. Our force may be small, but we are always on the lookout for new recruits. If so send us your completed application, making sure to follow all directions completely.